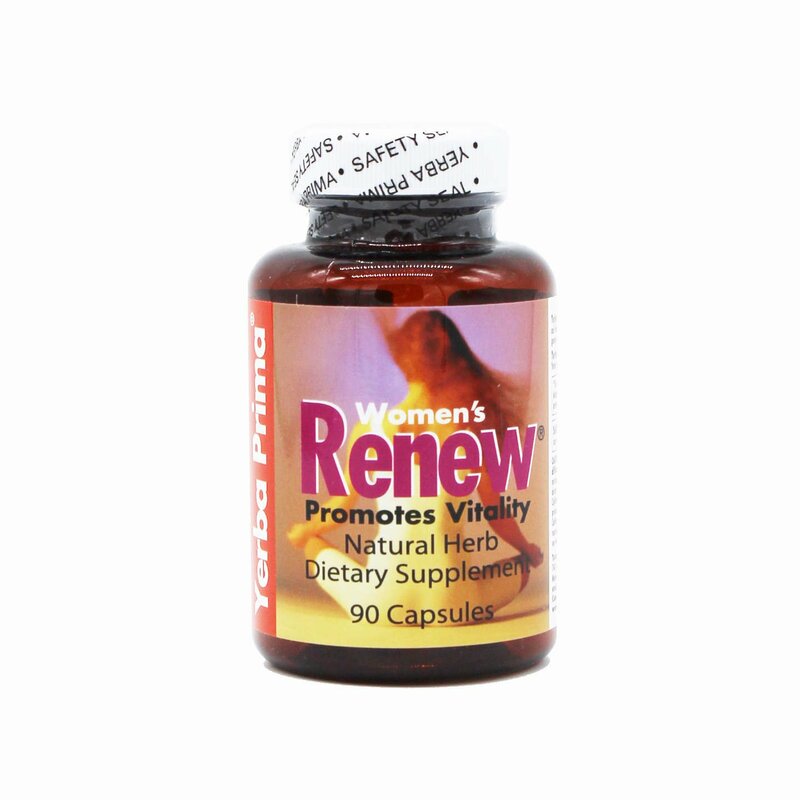 Women’s Renew® nutritionally supports the cleansing and balancing functions of a woman’s system to promote vitality and well-being. 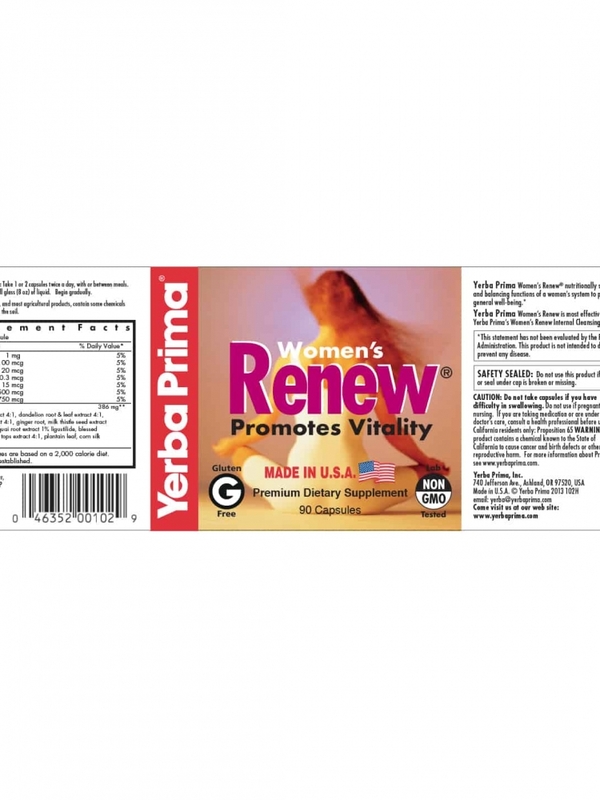 It is most effective when used as part of Yerba Prima’s Women’s Renew Internal Cleansing System. 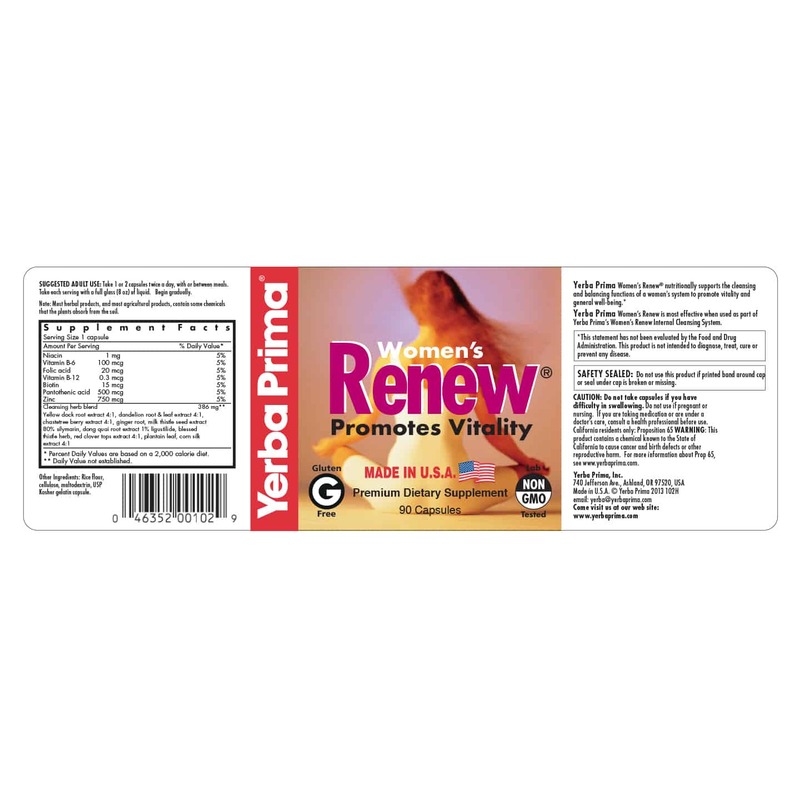 Women’s Renew provides nutritional support for the normal cleansing function of the following organs and systems: colon and entire intestinal tract, liver, kidneys and urinary system, lymphatic system, respiratory system, skin and circulatory system. 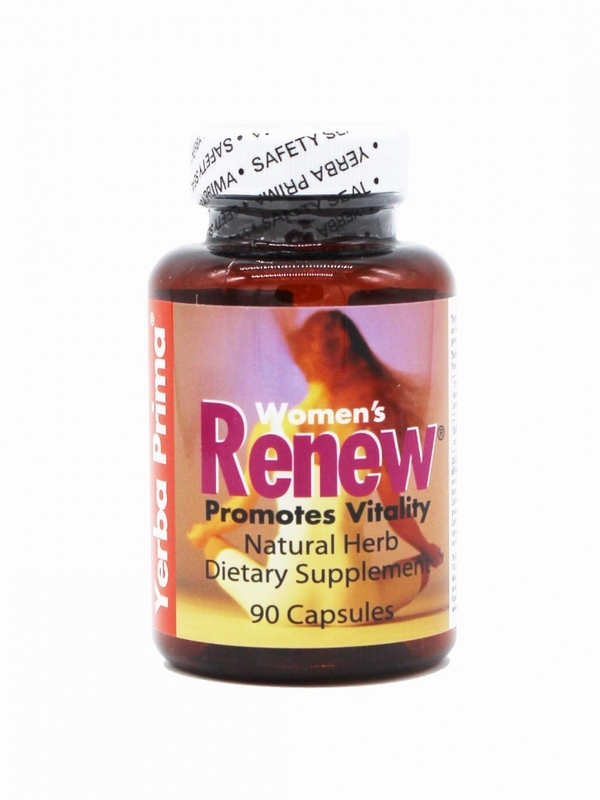 Women’s Renew ingredients help to protect vital organs throughout the cleansing process. 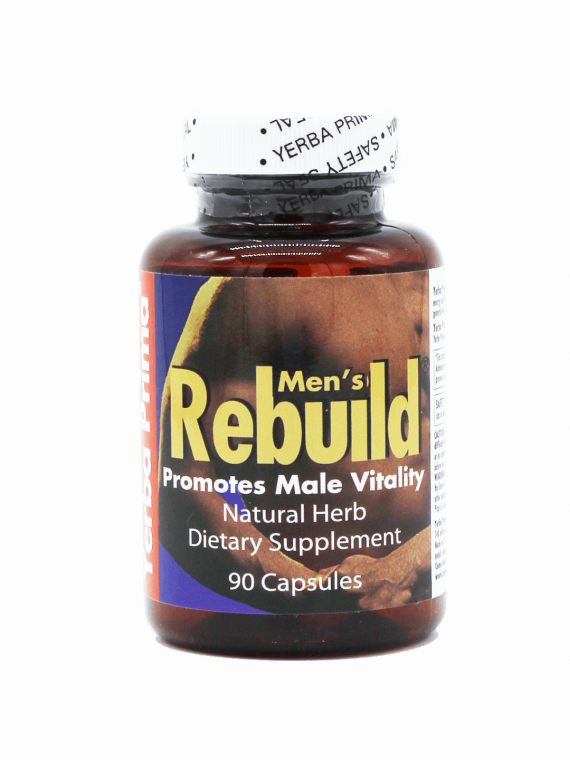 SUGGESTED ADULT USAGE: Take 1 – 2 capsules with a full glass (8 oz) of liquid, twice a day. 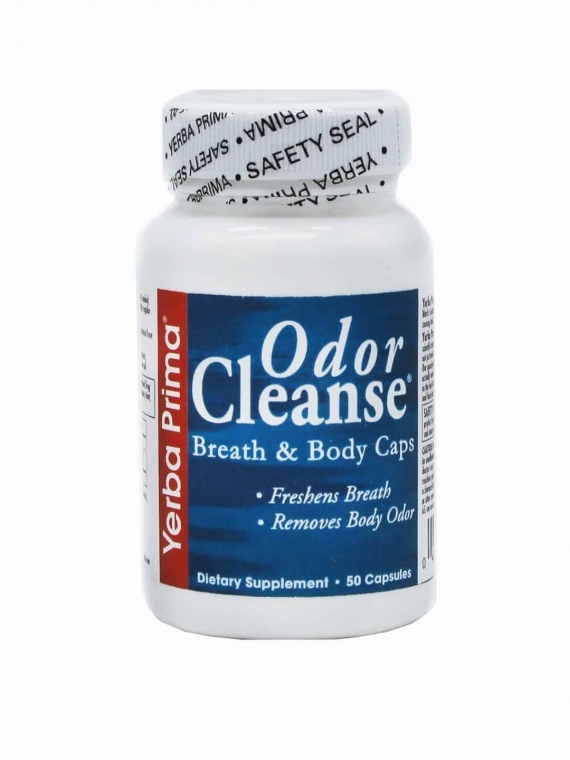 Begin gradually. 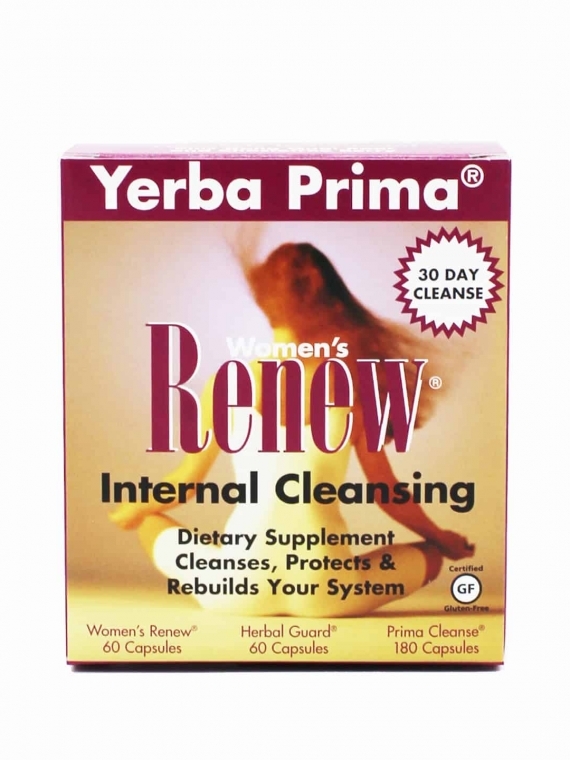 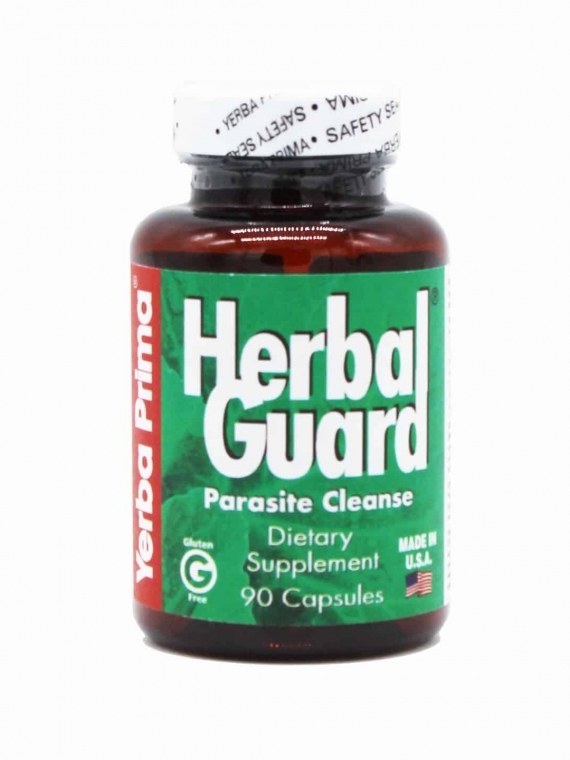 It is most effective when used as part of Yerba Prima’s Women’s Renew Internal Cleansing System.